The problem of having great expectations for a highly-anticipated film is that, eventually, you get to see it and it disappoints you, because it’s completely impossible for it to live up to your own, unrealistic expectations. But then again, have you heard that saying “the exception proves the rule”? Because that is exactly the case with Age of Ultron, a movie that I have been looking forward since 2012 and, oh my: IT. WAS. SO. GOOD. 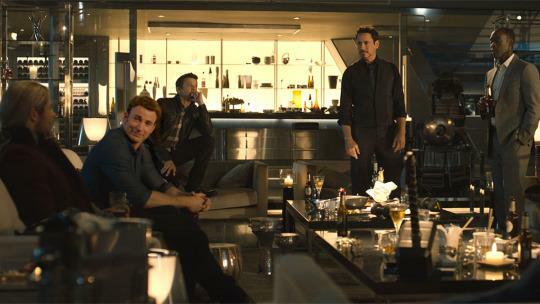 From the very start, we are offered a feast, as the very first scene sees our heroes already together, fighting their way into some Hydra facilities in the fictional Sokovia, where Loki’s sceptre from the first film is being used to perform experiments (two of which are the new additions, the Maximoff twins). The main plot here is that Tony Stark decides to use said sceptre to create a new AI called Ultron, something that doesn’t work out as well as he expected, if we exclude the fact that Ultron has the cool, smooth voice of James Spader. In fact, Spader owns the character in the most charismatic way, even though his voice is all we have of him. 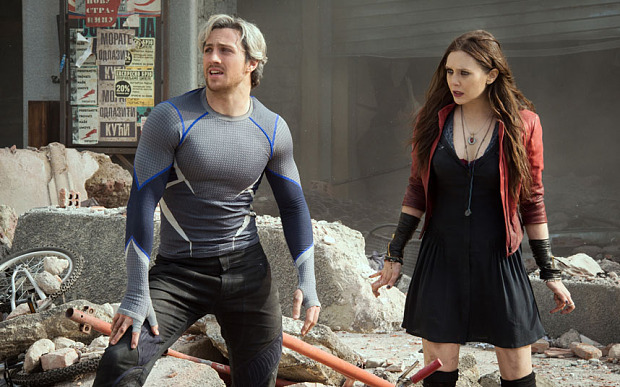 Of course, one of the main attractions of this film and what makes it so great is Joss Whedon’s ability to create a powerful script that combines action sequences and dialogues with witty one-liners perfectly. It even gives us glimpses to aspects of these well-known characters that we didn’t know about so far, with one of the best parts being a scene where all the characters start having hallucinations that take them to their past or to their own imaginations. Thanks to this, we get to discover more about Natasha’s past and we have a few seconds of Steve dancing with Peggy Carter to enjoy and get melancholic. There are some surprises, some unexpected twists and plenty of funny moments to go around -one of my favourite running gags is everyone’s inability to lift Thor’s hammer, and his face when Cap almost succeeds is priceless. The amount of characters grows considerably in this sequel, but they all get their fair share of screen time and it pays off. A welcome arrival is that of Paul Bettany, so far the faceless voice of J.A.R.V.I.S., as the Vision (nice twist there to be able to use the actor), the same way Whedon compensates for the lack of Clint Barton in the first movie with quite a lot of story for the character, including a bit more of that bond between him and Natasha that goes way back (and that needs its own film). There could be so much more to say, but then we would enter spoiler territory, and that is something that I would not recommend for this film: seeing something for the first time is half the fun! See you next year with Civil War! I must say this, though: I missed Loki like hell. (Just one thing: there is a mid-credits scene after what is probably one of the best credits ever, but there is no scene at the very, very end, so don’t bother staying all the way. You’re welcome).